Nigerian music star, David 'Davido' Adeleke, is one singer who loves to show his support for family time and again. 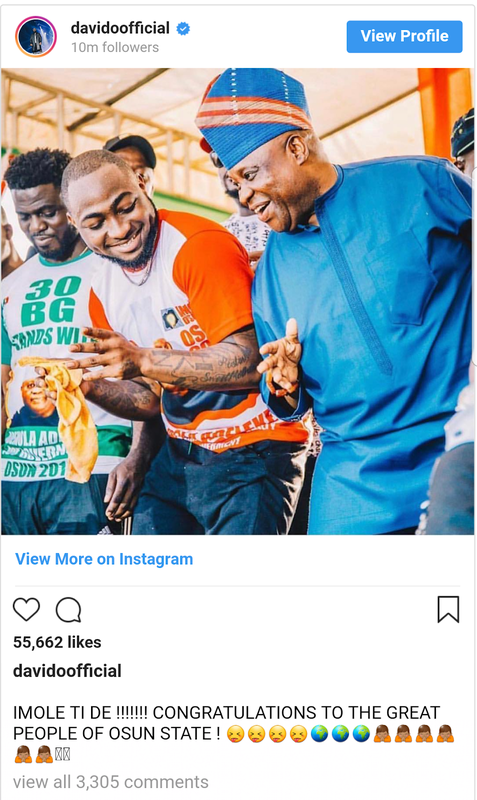 The singer made sure to go to great lengths to campaign for his uncle, Ademola Adeleke, who was running for the position of governor in Osun state. Interestingly Adeleke lost the election to APC's Oyetola and the issue was taken to court. Tribunal has now declared Adeleke as the governor of Osun. 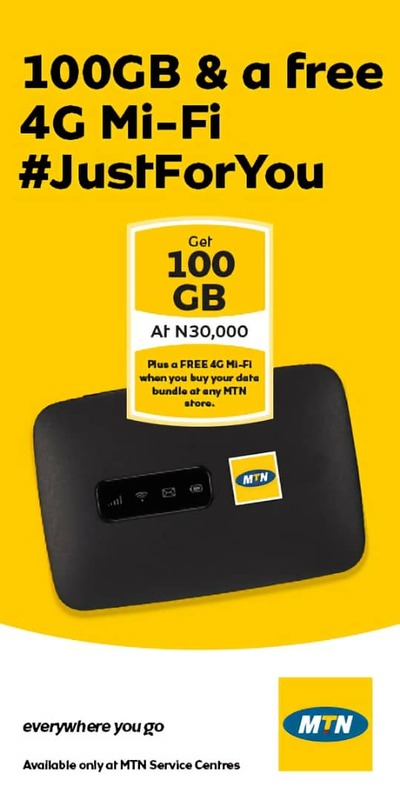 This change of fortune is no doubt good news for Davido and his family and the singer has wasted no time in celebrating. 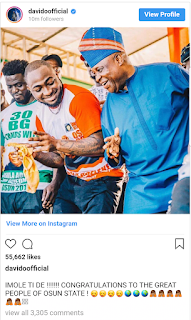 The DMW boss took to his social media pages to share a photo of himself dancing with his uncle as he explained that light has come for the people of Osun in his caption. He wrote: "IMOLE TI DE !!!!!!! 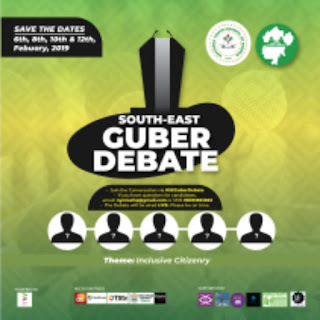 CONGRATULATIONS TO THE GREAT PEOPLE OF OSUN STATE !"